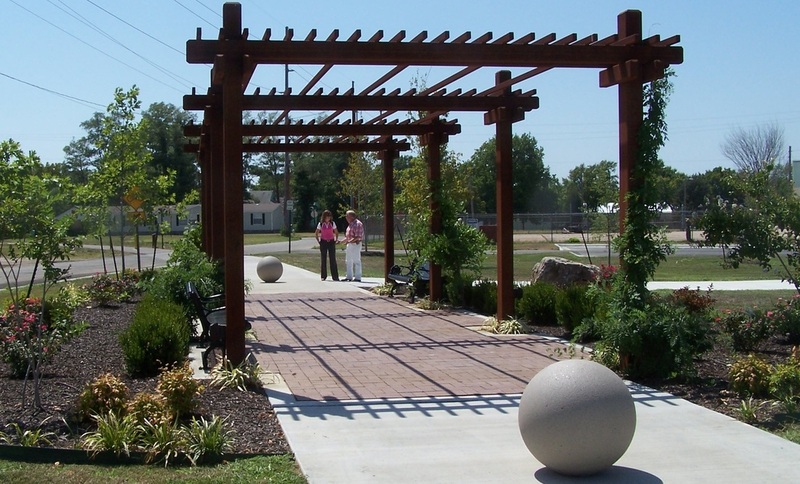 A committee of Live Well, Live Active strives to positively impact the built environment of Crawford County. We seek to develop sustained effective leadership that supports policies and practices that promote active transportation. Watco Trail, named for the short-line railroad operator headquartered in Pittsburg, stretches diagonally through the Kansas city just west of downtown. The trail is open on a portion of the former Missouri Pacific Railroad line that Watco Companies acquired as its first railroad purchase in 1987. The company generously donated this section of the corridor to the City of Pittsburg in the mid-2000s. The paved trail has 23 road crossings, so trail users should exercise caution. A landscaped trailhead with benches at its northern end provides a pleasant place to relax before or after a trek on the trail.